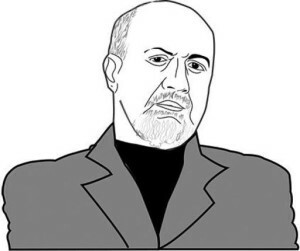 Facebook is the perfect platform for eccentric author Nassim Taleb, whose knack for thinking outside the box and waxing poetic is unparalleled. I’ve recently read the book Antifragile: Things That Gain From Disorder by Nassim Nicholas Taleb. It’s obviously not a diet book, but the principles in it are highly relevant to weight loss. But first, a bit of background. We are all familiar with things that are fragile. If you drop a Ming vase from a height, it shatters. Something that is resilient on the other hand, when dropped from a height withstands stress. An example might be an iron bar. But until now, we didn’t really have a word for something that gets stronger when it’s placed under stress. That’s why Mr Taleb coined the term “antifragile”. A good example of antifragility is the system of airline safety. Notwithstanding a few recent tragic examples, air travel gets safer and safer every year. The reason being that every time there is a crash, the incident is scrutinised, causes are elucidated and then measures are taken to try and avoid it happening again. Every air crash makes the next one less likely. In other words, the system is set up to respond positively to negative things. Every bad incident makes the overall system stronger. Nassim has an author page on the book reading community side Goodreads. This website is most often used for sharing book reviews, etc. A quick tutorial introducing the idea of Fat Tails in about 8 minutes, as simply as possible. Fat Tails make us understand the world much less than we think; they make much of the quantitative results in social “science” anecdotal (or worse, negative information).